A contract is a formal document that is created when two or more parties reach a common understanding and agree to the same thing at the same time in the same place. Contracts are used mostly for business transactions to record and document the details of the transaction as well as secure commitment from the participating parties. 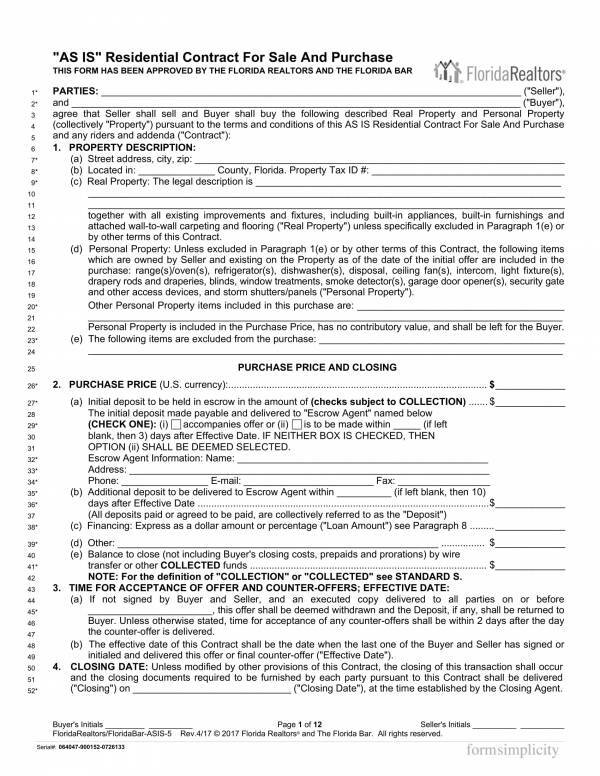 The contract we will be discussing further is a real estate contract sold by the property owners themselves. 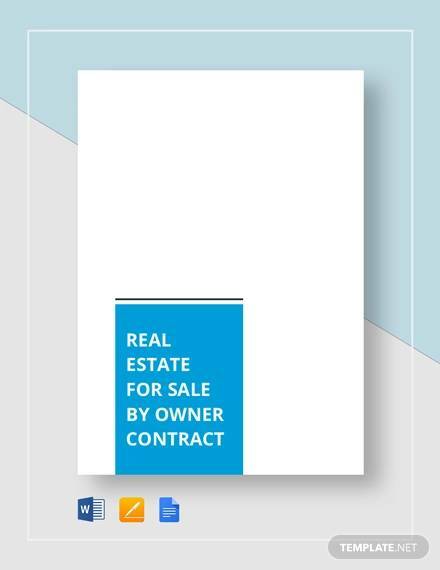 We will define what a real estate contract is, learn about its uses, find out why it is important, things that must be considered before signing one and some advantages for using contract templates. 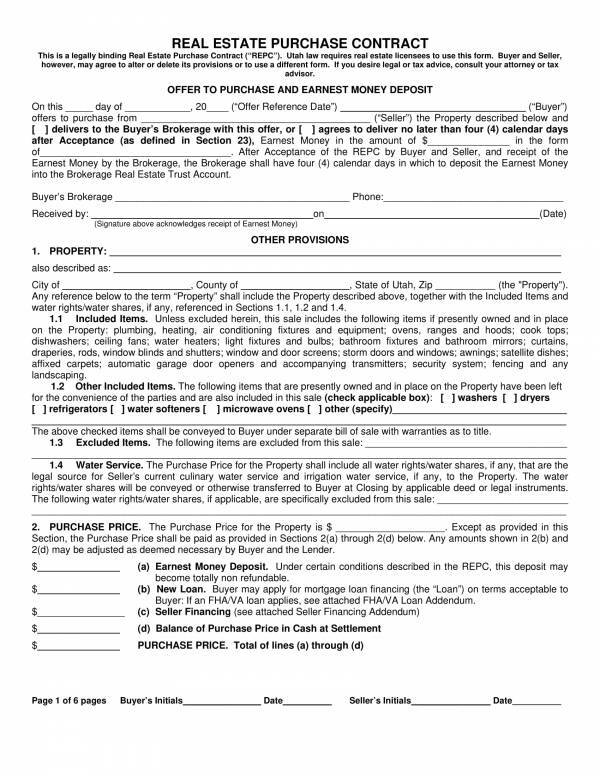 We have also provided sample real estate contract templates that you may use as reference. A real estate contact is a contract between two parties about the sale and purchase of a real estate property. The contract is governed by the law and follows practices of the jurisdiction where the real estate property is located. Real estate contracts must comply to the legal requirements provided by contract law, where the contract should be in writing, must be signed, witnessed and sealed. There are mainly two parties involved in a real estate contract, the seller and the buyer. This is usually the case when a real estate property is owned and sold by a real estate company, like subdivision units and condominium units. However, if the property is not wed by a real estate company and the seller is the actual owner of the property, then the parties involved in the contract are changed into the complete name of the property owner and the buyer. Of course, some of the provisions of the contract may also be changed as properties sold by real estate companies have specific provisions that may not be applicable to properties sold by the owner of the property. A real estate contract is a bilateral type of contract, which means that the contract is joined and agreed on by two parties. A contract can only be created if there are no disagreements or objections from any party about the provisions, no matter how little. 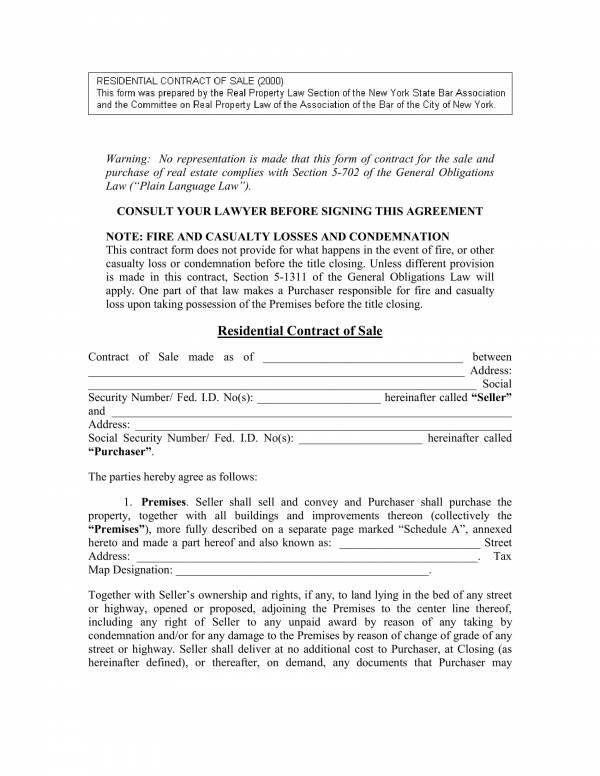 The information in a bilateral real estate contract, includes the names of the two parties involved, a description of the real estate property being sold, the purchase price, the signatures of the two parties, the terms and conditions of the sale and purchase, the duties responsibilities and limitations of both parties, etc. Other relates articles you may be interested in are Investor Contract Template, Management Contract Templates, and Employee Contract Templates. Why Is It Important to Have a Contract in This Type of Transaction? The sale and purchase of a real estate property is one of the many business transactions that requires a contract. The contract document is considered an important part of this transaction because it is where the details of the transaction are recorded and documented. Everything that has been discussed and talked about during the contract arrangement is recorded in the contract document that the participating parties sign. This is to ensure that the parties reached a common understanding. It also prevents any party from making false claims and commit fraud. It is always a must to record the complete and proper names of the parties involved in a contract so that they can be identified and not mistaken for someone else. This is simply a mistake that should never happen. Another reason why the legal names of the parties must be recorded in the contract is so that they can be legally bound to the terms and conditions, or the provisions of the contract. Being legally bound to a contract means that the named parties are subject to the provisions of the contract and must oblige to the stated provisions while under the contract. A legal contract is enforceable in the court of law, which means any violations has its corresponding punishment and may be brought to court for litigation. Parties who take part in business transactions feel secure and at ease if there is a contract document to record the details of the transaction. No business or company fully trusts the other party they are in transaction with. But they get a feeling of security when they take part of the contract because of the contract document. The very document provides them protection against unforeseen turn of events so that they can avoid the damages brought about by those events. Another reason why contracts are important in the sale and purchase of real estate properties is that is provides the payment terms and conditions of the transaction. Through the payment terms and conditions provided in the contract, the seller gets paid the right amount based on the schedule that both parties have agreed on. Without this provision, both parties can easily make false claims, like give out a different amount or a different payment schedule that are clearly not part of the contract. Any party can also easily deny that they have no obligation to pay the other party. The duties and responsibilities of the participating parties are specifically recorded and detailed in a contract so that the involved parties are aware of the things that they are expected to do and perform while the contract is ongoing. There are also things that each parties are prohibited to do due to specific reasons related to the contract at hand. Just like the duties and responsibilities, these limitations are also specifically defined an stated in the contract so that no party would violate it. When it comes to the sale and purchase of a real estate property, payment for the sold property should no be the end of it. One other thing to give importance is the transfer of ownership of the property from previous owner to the new owner. Arrangements like who will work on transferring the title, who will pay for the transfer and other conditions related to the transfer of ownership. The presence of real estate contracts in the sale and purchase of real estate properties also prevents the parties to go through expensive litigation. This is made possible because of the list of the remedies for contract breaches that are provided in the contract. Violations or breaches in the contract are first settled with the use of the agreed remedies or compensation. This is cheaper and more convenient compared to bringing the issue directly to court for litigation. Of course, if the issue is still not resolved after a series of negotiations, then that is the right time to raise it to court an go through court proceedings. Contracts protect confidential information from being disclosed to people or individuals who are not a part of the contract. Confidential information vary from one contract to the other. In order to identify which information are to be kept confidential, every contract must provide a list and clear definition of what these words are. The parties involved in a contract write their names and affix their signatures on the contract document as proof that they have freely agreed to everything that is stated in the contract. The signatures serve as a proof of the parties consent to join the contract. This also makes the contract a good court evidence when needed. You may also check out other articles on our website, like Videography Contract Templates, Maintenance Contract Templates, and Freelance Design Contract Templates. What Things Must Be Considered Before Signing a Contract? Taking part in a contract seems like the best thing to do, regardless if it is in a business transaction or for personal matters. There are different types of contract created for different purposes. Each of these contracts are specifically created to be appropriate for use in different industries where they are necessary. However, even if joining a contract is the best thing that you must do, there are still things that you need to consider before you officially sign a contract. When entering a contract, you would want to read and know about its provisions or its terms and conditions. The terms and conditions in a contract are made of all the things that the participating parties have agreed on. They weren’t decided by just one party, but they were discussed and selected by all of the parties involved. It is unnatural for a contract to be one sided, perhaps something is a miss. This is one thing that you should take note of. Also, the terms and conditions must be detailed and specific so that it can only have one interpretation. You should be able to understand the contract and agree to its provisions before you finally decide to sign the contract document. 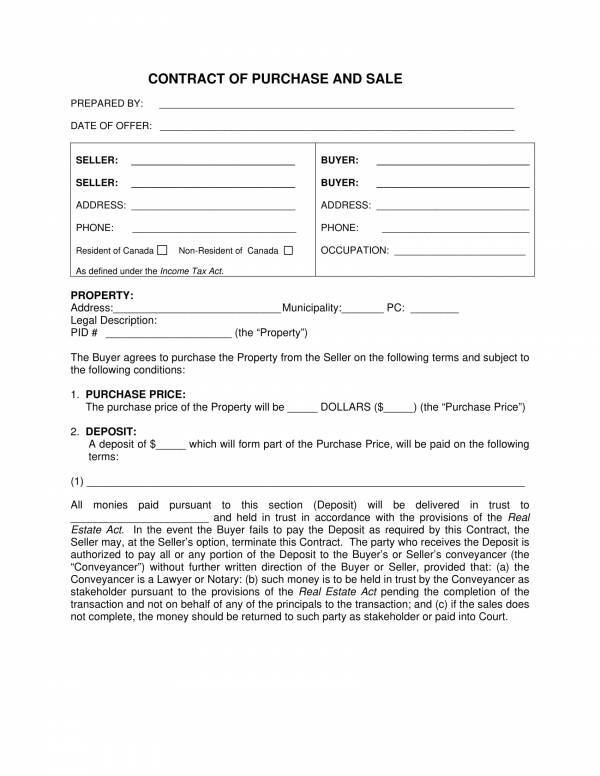 The first parts of the contract states the names of the parties who are involved in the transaction. These names must be proper names of people, businesses, companies or organizations, and must be spelled correctly. The exact and proper names of the parties involved in the contract are necessary to avoid instances of mistaken identity and be able to identify the exact person who joined the contract. It is important to know something about the person or entity you are going to work with because it will help you in deciding whether to sign the contract or not. Rights are different from responsibilities. When you say rights, it means the things that you are free to do or entitled to do. Responsibilities refer to the things that you are obliged to do or are expected to do. The parties in a contract enjoy certain rights as stated in the contract document. The specific responsibilities expected from them are also detailed separately. There are also limitations in the contract that will prevent you from doing things or participating into certain activities. Do you think you can handle these responsibilities or manage having a limitation on the things that you can do? Ask yourself this question. Deciding whether to answer a yes or a no is a tough one to make. This is how you will asses if you really are committed to it or not. The duration or length of the contract matters and must be appropriate to the transaction at hand. You would not want to be tied to a sale and purchase contract long after the dues has been paid and the property ownership has been transferred. Checking if the start and end date of the contract is appropriate will be another basis for you to make a clear decision. In business contracts, confidentiality provisions are not only necessary but they are a must. Through the said provision, information or data that are identified as proprietary and confidential are protected from further disclosure. This is to protect trade secrets and business processes that has been shared for the benefit of the contract. Does your contract really need a confidentiality provision? What things should you keep confidential? What if you no longer want to be part of the contract because the changes made to it are no longer related to you or you no longer agree with them? Before signing a contract, you would want to check any complications that will make it difficult or impossible for you to opt out of the contract. It would be a problem if you are going to be tied a contract you no longer agree with. If there is anything you don’t understand in the contract then do not hesitate to ask questions. Sometimes, the simplest things can be the most effective ones. Asking yourself a question you don’t know the answer to will only get you frustrated. If you are not convinced with the answers provided to you, then do your own research. So, you have read and understood everything in the contract. Are the benefits you are getting outweighs the risks that you will be facing in the contract? This is another important thing that must be always be considered before finally deciding to sign a contract. You will need to think carefully if it is worth it or not. You can keep yourself away from any legal troubles or liabilities if you now exactly what you are getting yourself into. That is why it is must for you to consider certain things before signing a contract. Other articles where you can find sample contract templates are available o our website. 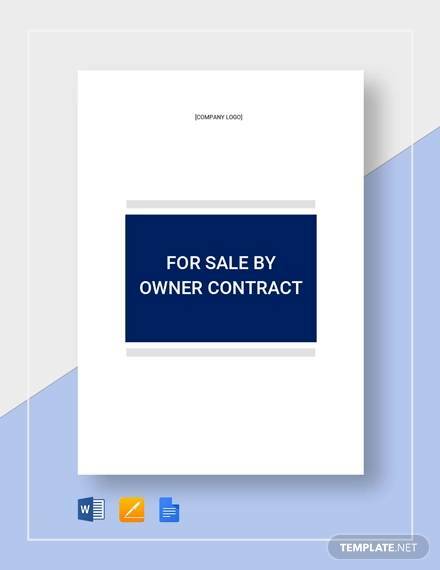 Some of the titles you may find useful are Sample Business Contract Templates, Simple Investment Contract Template, and Security Contract Samples and Templates. What Are the Advantages of Contract Templates? Contracts template are ready-made contract documents that includes all of the details and provisions of an actual contract document. However, the template is not actually complete. 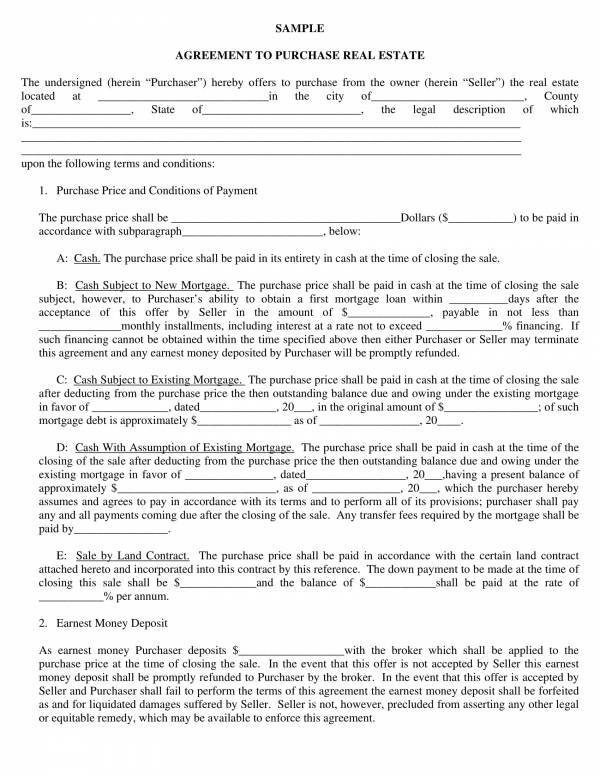 In order for the contract template to get completed and become a real contract document, the user must supply the necessary information in the contract by filling the blank spaces. Contract templates have a lot to offer to its users and they re as follows. Easy and convenient – Contact templates are like fill-in-the-blanks test. You need to supply it with the correct information in order to complete the entire document and create an actual contract. Using a contract template does not require special skills or talents. It has been created to make the contract writing process easy and convenient to do. Save time and energy – When you no longer have to repetitively create he same contract document for the same transaction over and over again, that means that you will mostly likely be able to save a lot of time and energy. So you can have a lot of energy and time to use on other matters that are more important and that needs your full attention. You can get the task done in no time with a contract template. Accessible – It’s becoming pretty easy to get access to different types of contract templates through the internet. 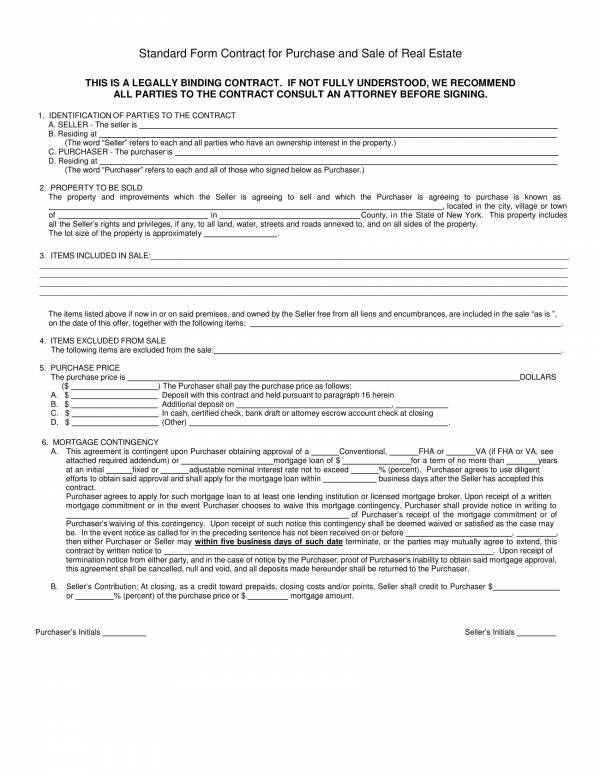 There are now countless number of websites online that provide downloadable contract templates. Resources aren’t scarce so surely will find the right contract template you have been looking for. Affordable – Contract templates can be downloaded for free. There are a lot of websites online offering free contract templates download, even those contract templates that they are actually using. Now, if you come across contract templates that are for sale, then rest assured that they will only cost a small amount and won’t hurt your wallet. Editable and printable – Changes to the contract template can easily be done as they are made available in user-friendly file formats that allows the user to easily make changes to the contract. 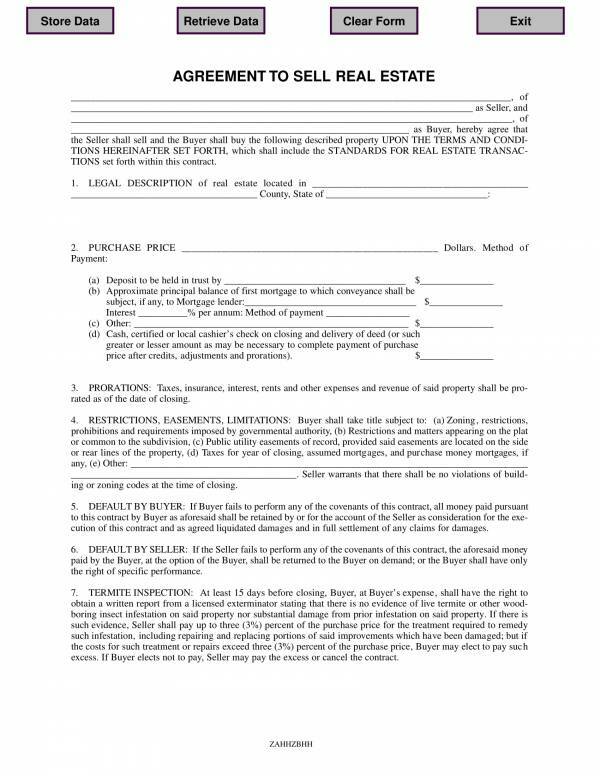 You may also print as many copies of the contract template as you want. Complete – Contract templates are guaranteed to have a complete set of information so you can be confident that the contract you will be creating using the template is not missing any information. 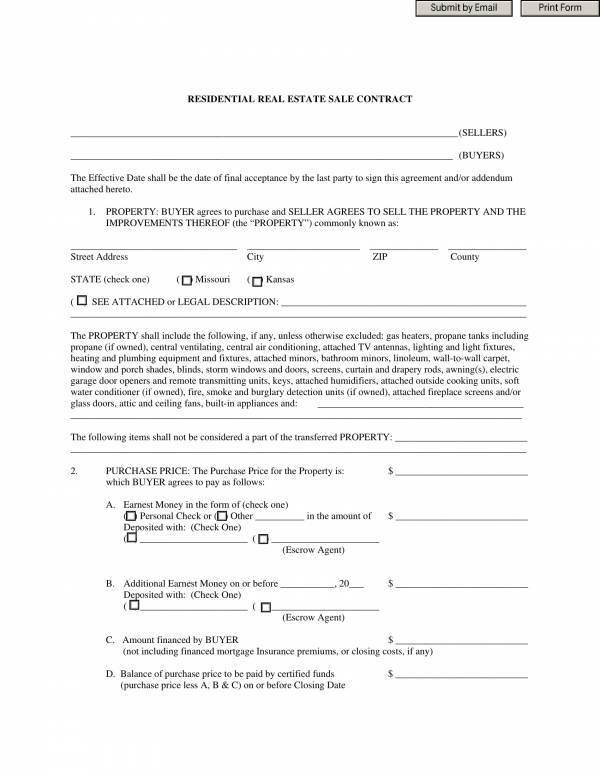 This makes contract templates a reliable tool to use. So the next time you need to make a contract, use a contract template to make your task easy and convenient to do. 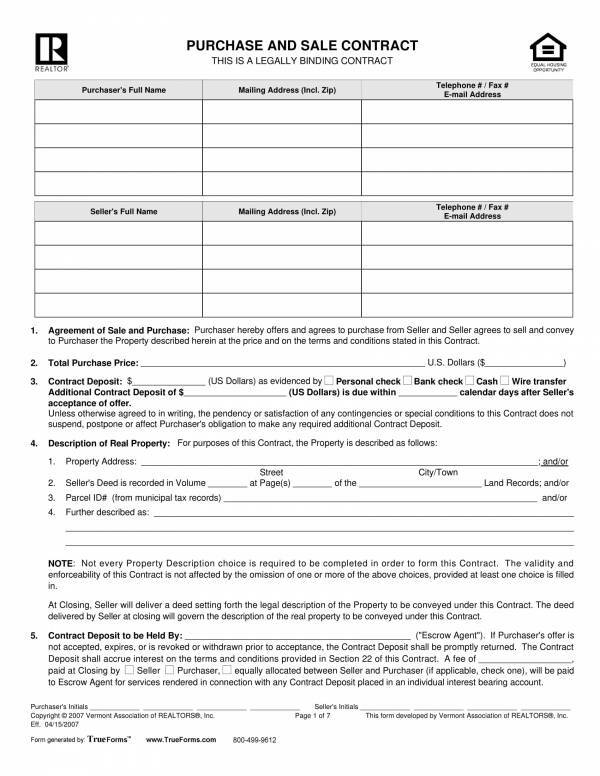 You can check out different contract templates on our website, like Agent Contract Samples and Templates, Band Contract Samples & Templates, and Service Contract Samples and Templates. Knowing how to make a contract is simply not enough. We have here tips that will definitely help you write better contracts. So if you want to be better at writing contracts, you may just want to check out the tips we have listed below. Follow required formatting. Contracts are formal documents that is why it is a must that proper formatting is always followed and taken into consideration. This is because the format of the document is the very first thing that will be noticed. 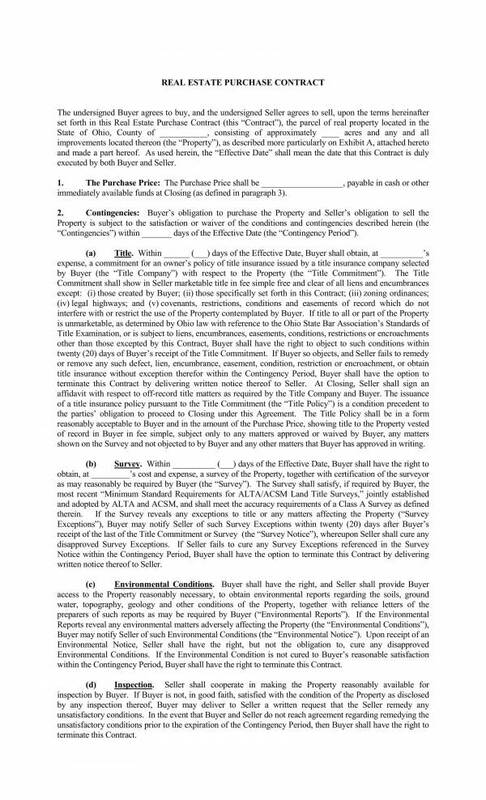 Following proper formatting also makes the contract document look neat and presentable. Use clear and concise words. For your contract to be easily understood by a lot of people, it is best to use clear and concise words when writing its contents. This also allows readers to interpret the context of the agreement the way you want them to interpret it to avoid confusion. Provide a table of contents. A table of contents is very useful when the contract document has a lot of pages. Finding specific sections of the contract is made easier with the use of table of contents. Provide a definition of terms. Contracts are bombarded with jargons or technical terms which is the cause of a lot of confusion and misinterpretation. Creating a page dedicated for the definition of terms will help readers understand these terms and prevent them from creating their own interpretation of the statements. Only include relevant information. As much as possible, keep your content relevant. Exclude unnecessary information that may further confuse your readers and unnecessarily lengthen the contract. Use appropriate contract clauses. Not all clauses are applicable in any type of contract. Make sure to include only the clauses that are necessary and applicable. Having a lot of unnecessary clauses may create loopholes and flaws in your contract. It is better to avoid them before it gets you into legal troubles. Be professional. A good contract should always use polite words. Profane, rude and condescending statements should never be a part of a contract. Even jokes are not allowed. Only include what has been agreed. If you want something to be part of the contract, but the other party does not agree with it then do not force it to be there. Even if you are the one writing the contract. This may cause the contract to be invalid as the other party did not know and did not agree about the provisions you forcefully added. Know the essential elements. In order to make your contract valid, be sure that you know and understand the essential elements of a valid contract. Review and proofread. Thoroughly review the contract that you have written to check if there are details you have forgotten and if your content is still coherent. Also check for any spelling and grammar errors. Remember these tips and you surely will be able to make better contracts every time. We hope that you are able to learn something from this article. Other articles you may find interesting, include Online Advertising Contract Template, Band Contract Template, and Auto Sales Contract Template.